Amols' has been helping San Antonio party for 70 years! We have the experience and selection to help you throw the perfect party or event. No matter where you're located, you can shop online and find everything you need for your next celebration. 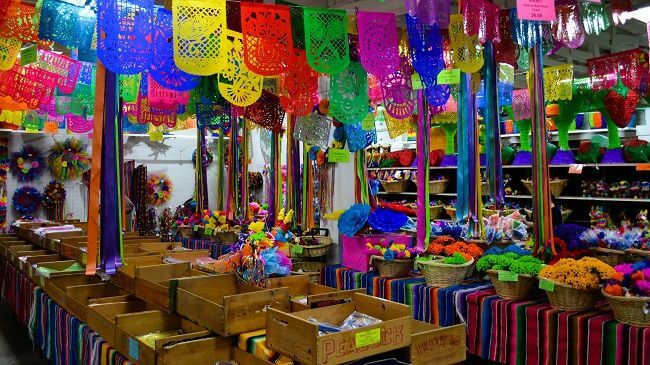 Whether you're looking for authentic Mexican decorations for your Fiesta, creating a spooky Halloween bash, or throwing the New Year's Eve Party of the Century, we've got what you're looking for. Check out our thousands of great reviews. In San Antonio? Come see us at Five Points and check out our huge selection of party supplies, favors, and decorations for every event or holiday. Our experienced and knowledgeable staff will be happy to assist you. Looking to save a little time? Find everything you need on the website, and pick up your order in store! Just choose "In Store Pickup" when checking out online.